Everyone needs a brief respite from work, and I’m taking one. Hope you catch whatever it is you’re looking for while I’m off. Talk soon! 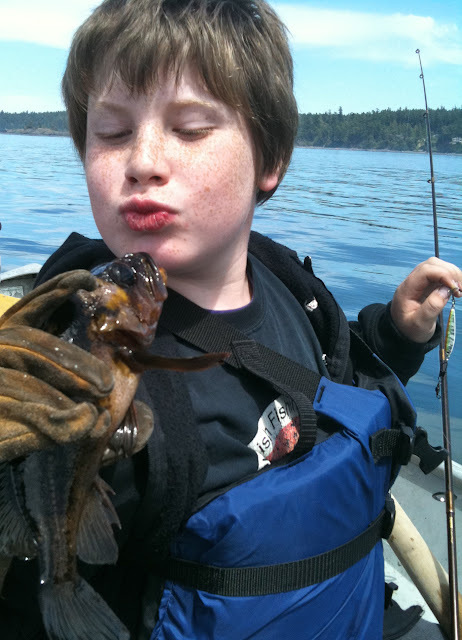 Nate kisses this rockfish goodbye (per regulations). This year, we’re hoping for dinner.